The coolix platform is based on templates, therefore as the first step of creating a new interactive video you’re going to need to choose your template, each template defines the KPI (Key Performance Indicator) as well as the key behavior and functionality of the video. In this article, we’re going to use the leads form template. so let’s jump right into it. When viewing your videos, on the top-right corner click New Video. Select the Lead Form by clicking on it and then click onBlank. Hurray, you’ve got your first interactive video created, so let’s see what we can do next. The very first thing we need to do is to set the video source, so click on General & Video. 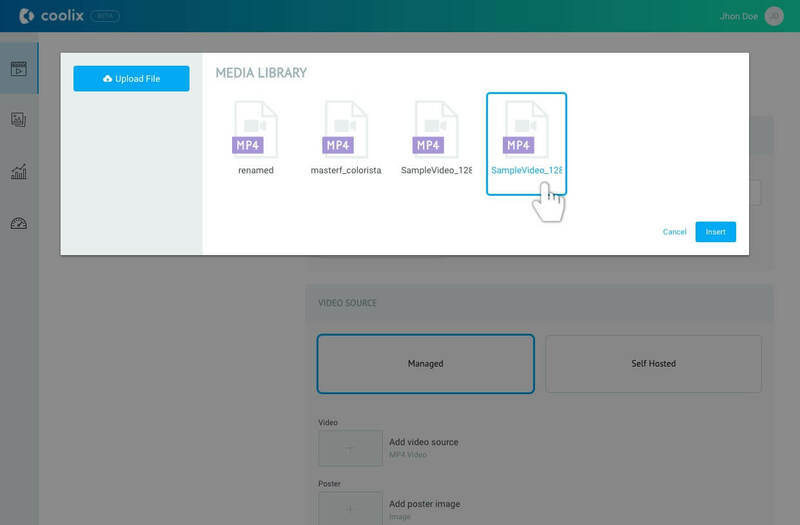 Then on the Video Source section you can choose between hosting and serving the video from Coolix or providing a self-hosted video. 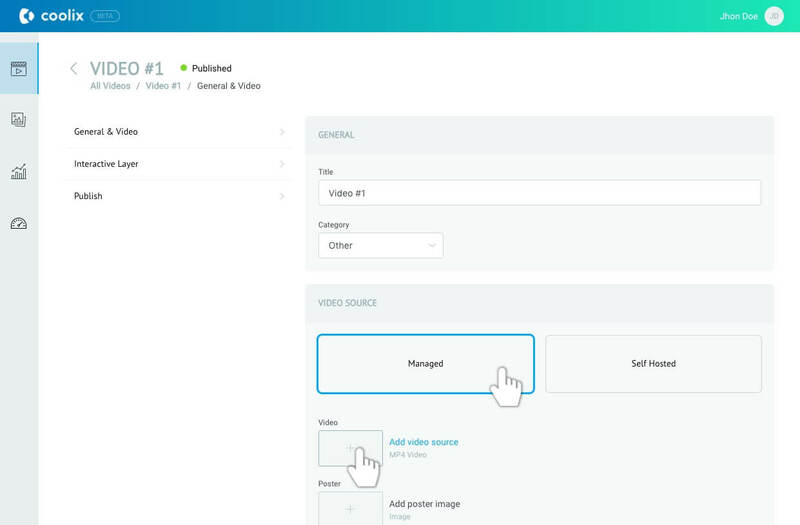 At this example we’re going to use Managed (note: using managed video source may have impact on your pricing, see our pricing for more information). Click on Add Video Source button. Here you can use an of your previously uploaded video or upload a new one, when you ready just select the video item and click insert. (note: You can only upload MP4 videos, up to 10MB). Don’t forget to save your changes by clicking save at the bottom.